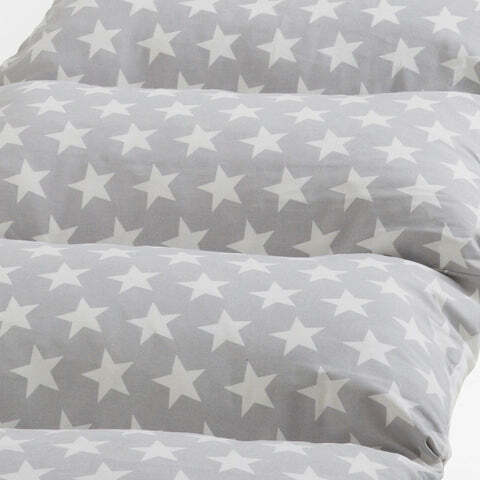 Bed in a Bag, Grey Star | Great Little Trading Co.
Our priority here is maximum fun for them, minimum fuss for you; just roll out this cosy mattress and hey presto, you have a comfy spare bed for friend or guests of any age. It comes with a zipped storage bag so it's easy to store too. 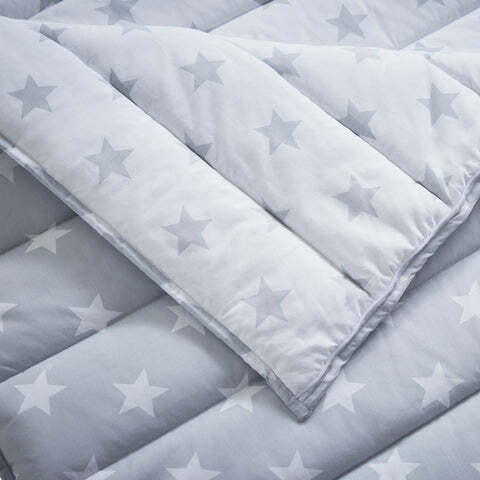 It's large enough for adults and the cover is made from 100% cotton; the padded sections are polyester filled so there's no inflation required. Spot clean only. 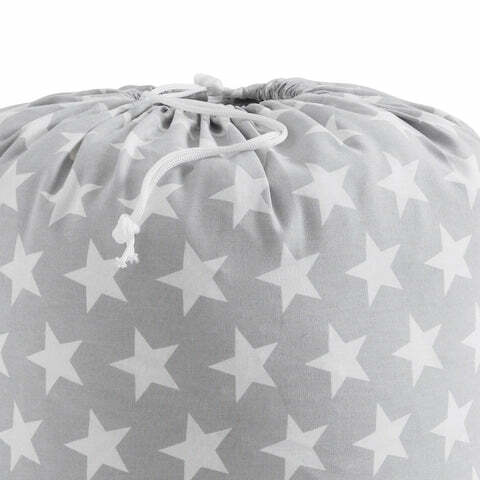 Team up your Bed in A Bag with a coordinating Children's Sleeping Bag; they're great for sleepovers or visits to family and friends.